One of the many reasons that people purchase properties in Ocala Florida is to enjoy a new lifestyle in a warmer climate and all the new amenities that come with this. One of those amenities is having your own pool. According to the US Consumer Safety Product Commission, Florida ranks in the top 3 for states where people feel having a pool is a major plus. There are several things to consider when purchasing a house with a pool, however, that every future resident of Ocala should consider. Having a pool already on the property of the home that you are purchasing increases its value by roughly 7%. This is in contrast to what it would cost you to have a pool put in later; in most cases you never recoup that initial investment when you also factor in the costs of maintenance and installation. So if having a pool is something that you truly desire, you’re in a much better place if you can purchase a house that already has a pool than if you purchase a house without one and install it later. Many people who move to the Ocala area are retirees looking into retirement living in 55+ communities in Ocala. Other people looking for family friendly living options who move to the area may do so because they want to enjoy many of the perks that neighborhood living can bring. Nearly all of these communities have a clubhouse and community pool, with some neighborhoods also boasting an indoor pool as well. 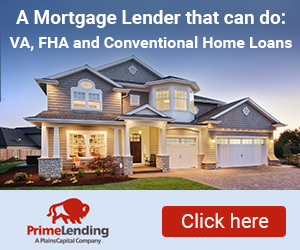 The goal is to work with a professional Ocala, FL real estate agent. For homeowners that like the idea of swimming and water aerobics, but don’t want the hassle of maintenance and repairs, the community living option may be the better bet. On the other hand, if you don’t see yourself socializing on a regular basis, but do want the convenient exercise and enjoyment that a pool can bring, purchasing a home with its own pool can be an asset whether you live in a gated community or not. There are several different types of pools to consider. Those that are screened or covered are going to be less work and maintenance than those that are not. Likewise those that have solar heating systems will cost you less in the long term than those that rely on electricity. Therefore if you are considering properties with pools you may want to take a look at the pool itself. Find out what it’s made of – gunite is the longest lasting and the most popular, while vinyl will require some replacement pieces every 10 years – and take a look at the overall landscaping. If you like to entertain, a pool is a great place to do so, provided it’s laid out in an attractive way. If you think that you might enjoy having a pool in such a warm climate, doing so with a version that needs less upkeep or that is made for entertaining may help sweeten the deal. 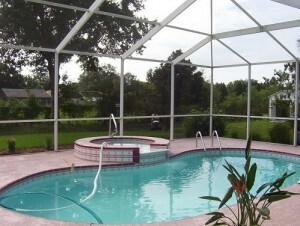 For many people, living in a warm climate like Ocala means that having a pool is a necessity you can’t do without. If you’re ready to start looking for a new home with or without a pool, give us a call or contact us today to find out more about what listings are available.